CHICAGO (WLS) -- Portillo's has extended its revival of the chain's beloved lemon cake through August 30. 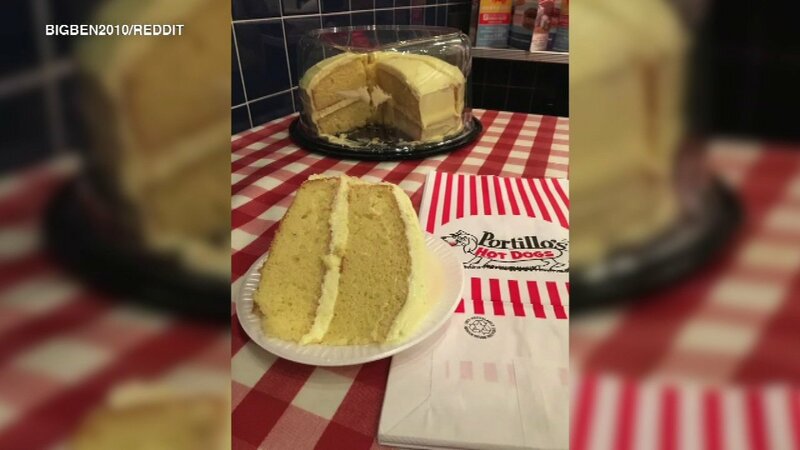 Portillo's originally announced it would bring back the nostalgic dessert from June 13 to July 31 after a Reddit user offered $300 to anyone who could get him a cake. It had been off the menu for 10 years. Once the post went viral Portillo's offered to make a lemon cake just for him, and in response he started an online petition to get the cake back on the menu. It worked, sort of, as the restaurant agreed to a limited-time revival. Portillo's has now extended the cake's availability by the slice and whole cake through Aug. 30. After that, they said, the cake will have to go back into retirement... at least until next year. The lemon cake costs $3.09 for a slice and $19.49 for an entire cake. Portillo's lemon cake lovers, rejoice!